Page 1 of 3 London Gay Pride march 2001 Blokey, Ken John and Andy outside The Hard Rock Café. 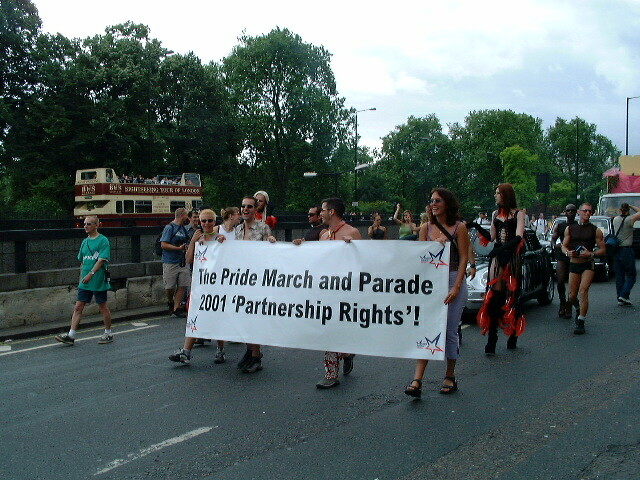 London Gay Pride march 2001. 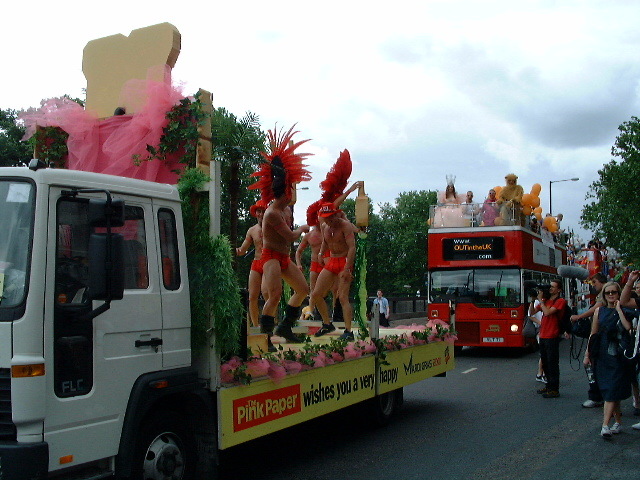 London Gay Pride parade 2001. The Pink Paper and OUTintheUK bus. London Gay Pride parade 2001. 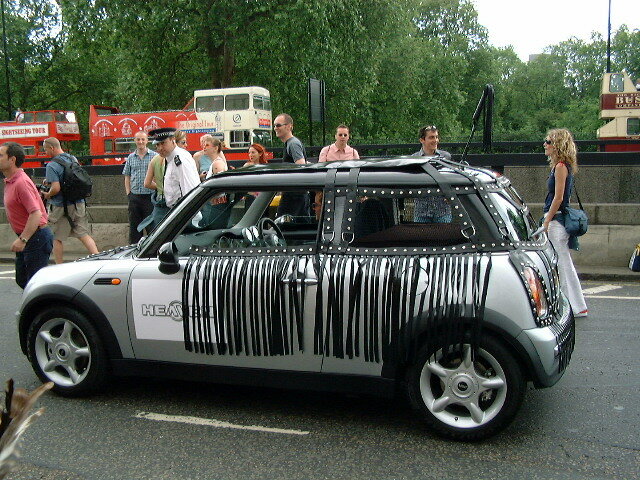 London Gay Pride parade 2001. Stonewall bus. 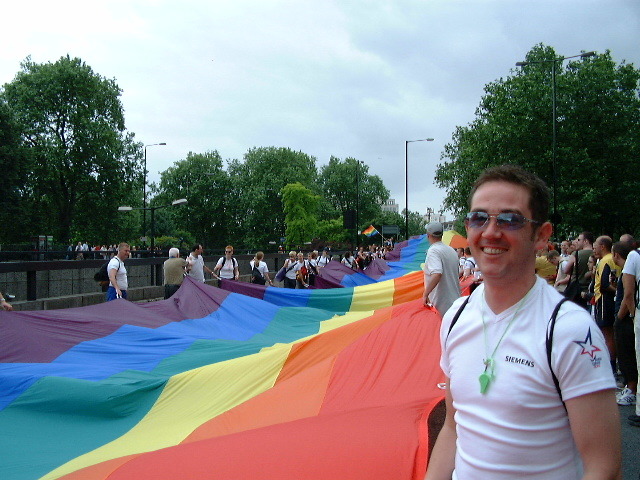 London Gay Pride parade 2001. 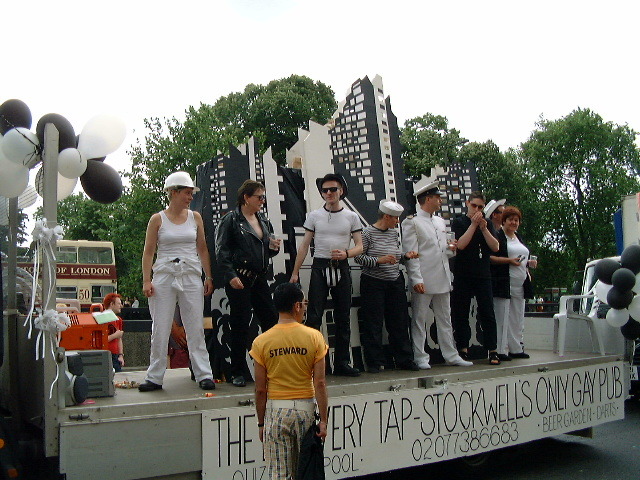 The Brewery Tap float. 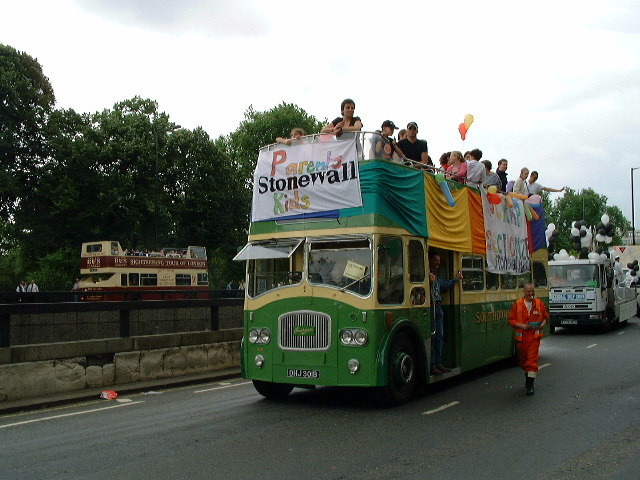 London Gay Pride parade 2001. 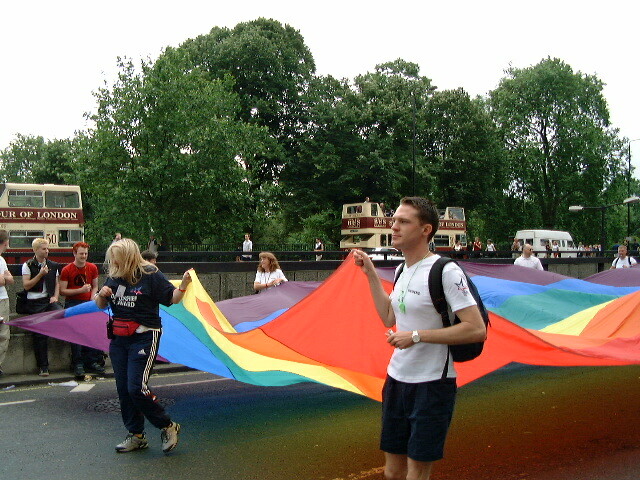 The huge rainbow flag on the parade. London Gay Pride parade 2001. The crowd carry the rainbow flag on the march. 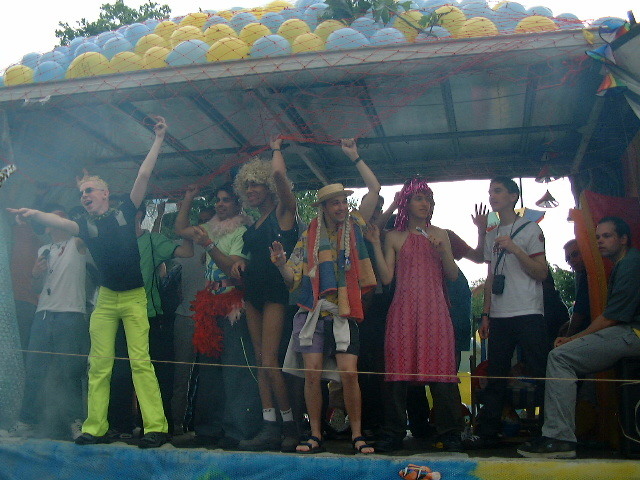 London Gay Pride parade 2001. John with a feather in his cap.